Topic: Where will you fly in 2018 ? Re: Where will you fly in 2018 ? Sometimes I have to look up for airport codes. Who could have thought that GYD is for Baku, Azerbaijan? How can Russia accuse Israel? It's Syria which downed the Russian plane. Lack of communication. 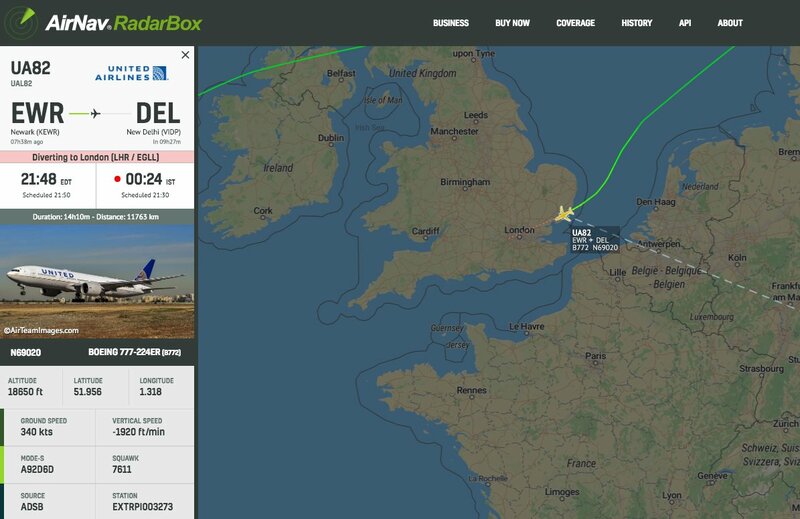 rumor "Air Belgium starts flights for British Airways ? " United flight #UA82 from New York EWR to Delhi (Boeing 777-200ER reg. N69020) is diverting to London Heathrow and requesting priority landing. Topic: "LA Times is currently unavailable in most European countries"
Re: "LA Times is currently unavailable in most European countries"